Mint is one of the most traditional herbs used to make herbal teas and infusions. Its characteristic flavor, leaning on its persistent and very fresh aroma, make it ideal to be consumed as tea. It's also of great help for body issues, because it has good properties, like any herb. Mint is actually a genre or group of about fifteen to twenty types of plants , including peppermint and spearmint. Its pleasant and fresh taste has become one of the favorite plants when drinking a tea. It has great nutritional value, It contains several essential vitamins and minerals that are needed to keep the body in good health. Although not present in large quantities. For example, fresh mint contains traces of iron, a mineral needed to produce red blood cells. It also has small amounts of fiber, vitamin A and potassium. Also, there are multiple medicinal properties attributed to it and than can be obtained with a cup of mint tea. Would you like to know? It has powerful antioxidant power: has perillyl alcohol, which may stop the growth or spread of cancer. It is very good for the digestive system : eating fresh mint leaves can help improve digestion. It also acts as a carminative, which means it can help relieve gas and associated symptoms. Other digestive benefits it can offer, according to studies published in the University of Maryland, is that it makes the flow of bile more efficient , which means that it helps digest food faster. It also works by relaxing the muscles of the digestive tract. It helps minimize the symptoms of irritable bowel syndrome (IBS): has been shown to be an effective and safe treatment for those suffering from abdominal pain or discomfort. It is helpful in cases of colds: contains menthol which is a natural decongestant that helps break up phlegm and mucus. Peppermint may also be effective, especially when combined with black tea to relieve a sore throat. It's effective in fighting and preventing allergies: it contains an antioxidant known as rosmarinic acid which has been studied for its effectiveness in relieving symptoms of seasonal allergies. Rosmarinic acid has great anti-inflammatory properties. How do you make a mint tea? To make a good infusion of this healing plant, very refreshing and aromatic, you can grab a few leaves directly from your plant and boil them in water for a few minutes. Then let stand and strain before drinking. You will notice how the penetrating vapors of mint can help even with a cold or congestion, among other things. You never know the end of many properties that a good herb can have. As is well known, it has multiple uses. 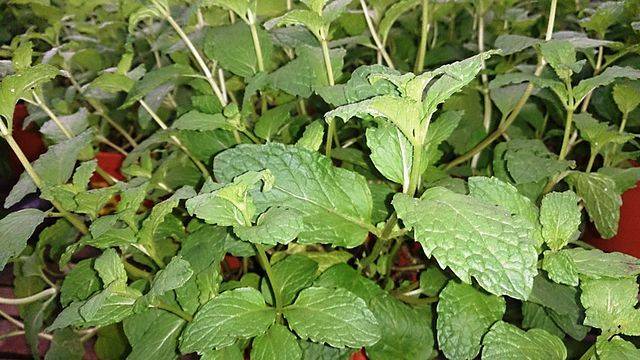 Mint can be included in desserts, can also be used for making alcoholic drinks or can directly become a spice for salty food, as used in great meausre in the Arab cuisine. What do you drink mint tea for? Do you drink it daily? IMPORTANT: "Mint tea" 's mission is to keep you informed, but dont ever substitute a medical consultation. Write your comment in "Mint tea"